Personalization has been taken to the next level. PrimaryControl stabilized unipivot tonearm with VTA adjustment on the fly. ‚In the world of high-end analog audio, if there is such a thing as a „bespoke tonearm”, the PrimaryControl Reference Tonearm from The Netherlands fits this description.’ , says Richard H. Mak in TONEAudio Issue 66. 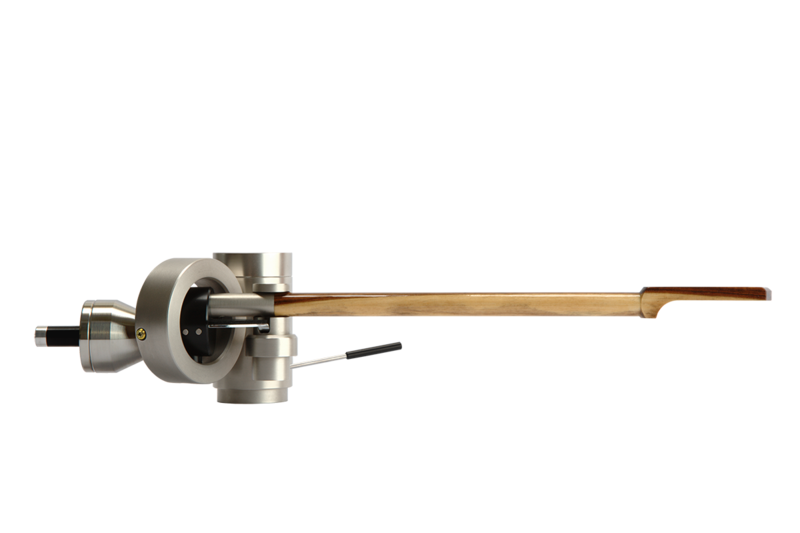 The PrimaryControl Reference Tonearm is a two point bearing design based on a uni-pivot bearing with a second bearing point for stabilization during playback and handling. The Reference Tonearm allows VTA adjustment on the fly. The second bearing point functions at the same time as azimuth adjustment device. Anti-skating is realized by a non contact magnetic device which has a non linear characteristic over the radius of the record. Every tonearm is individual balanced to reach lowest mass moment of inertia, thus lowest variation of VTF during playback. A fresh innovative reinterpretation of the uni-pivot bearing principe that makes it attractive for today’s audience and needs of handling comfort. A phenomenon of the contemporary tonearm making landscape is the feeling that, at times, bigger tonearms and more extreme technical looking designs are necessary to establish market share. 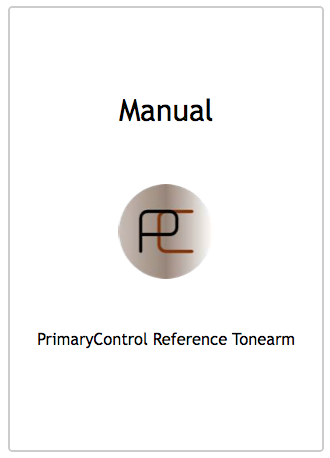 The PrimaryControl Reference Tonearm is a refreshing exception to this rule. The Reference Tonearm is deeply restrained, bordering on the conservative, but with an almost imperceptible harmony of proportions that begs the viewer to take a closer look. A deeper investigation reveals an interesting line between high-grade materials , cutting edge technological processes and a highly individual handcrafted production.